Don’t stop at Open Water! This is just the start of your adventure… Once you are certified as an Open Water Diver, the underwater world is really your oyster. Why not develop your skills and your confidence with some further training? Discover wreck diving, deep diving or any number of exciting specialties that will broaden your experience and your enjoyment of diving. Train in rescue and first aid skills so that you are fully prepared should you or your diving buddy need assistance. Divers’ Lodge instructors are qualified to teach further education courses for PADI. Courses are available in English, Arabic, French, Russian and a variety of other languages. We also offer some of the lowest student to instructor ratios around. Take a look at just some of the options we can offer below and get the most out of your diving. Continuing education is fun! You may upgrade to PADI Advanced Open Water Diver at any time, with just two more adventure dives. Each Adventure Dive that you make during the course may be credited towards the corresponding PADI Specialty course. Children aged 12-14 years can earn the PADI Junior Adventure Diver certification. Prerequisites: PADI Open Water Diver Course Minimum age: 12 years. Please note: The course doesn’t includes equipment rental. Educational materials cost approx. €40.00. They may be purchased from our Shop at Divers’ Lodge. An extra charge may apply if you choose selected optional adventure dives e.g. Wreck Diving, Underwater Photography (for camera rental). Please check with your instructor. For extra charges. Lunch on boat trips (75.00 EGP including unlimited soft drinks, payable on the boat). 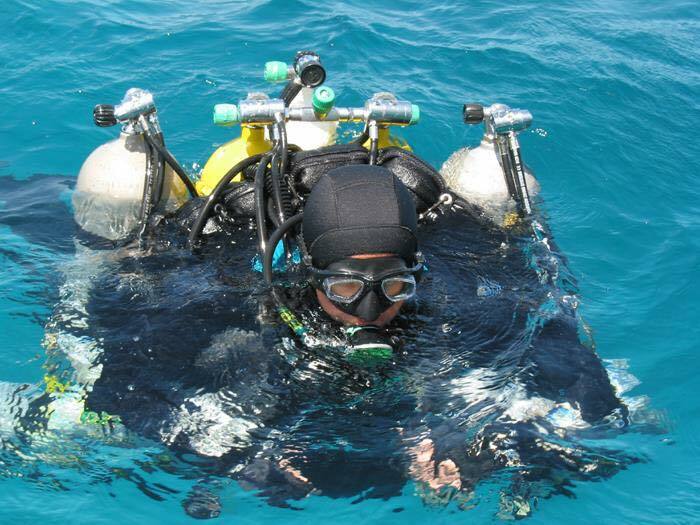 The PADI Advanced Open Water course enables you to increase your diving experience and knowledge under the expert guidance of your instructor, while visiting some of Hurghada best dive sites. To earn PADI Advanced Open Water Diver certification, you complete five adventure dives and associated knowledge reviews. These must include Deep Diver and Underwater Navigation, plus three options that you select with your instructor. The course takes two days. Prerequisites: One day guided diving with Divers’ Lodge before start, PADI Open Water Diver or equivalent. Minimum age: 12 years. Please note: Educational materials cost approx. €40.00. They may be purchased from our Shop at Divers’ Lodge. An extra charge may apply if you choose selected optional adventure dives e.g. Wreck Diving, Underwater Photography (for camera rental). Please check with your instructor. For extra charges. Lunch on boat trips (75.00 EGP including unlimited soft drinks, payable on the boat). Your first day will consist of pool and class work, equipping you with basic skills such as assisting a panicking diver, surfacing an unconscious diver, and out of air drills. In the classroom you will learn how to quickly identify stress in divers and how to minimize the risks associated with differing diving conditions. The second and third days are spent on the boat or shore simulating emergencies, conducting searches, and learning how best to manage the human resources available, as well as learning how to administer oxygen, and in-water artificial ventilation techniques. Be prepared for unexpected rescue scenarios! After completing your PADI Rescue Diver certification, and PADI Advanced Diver Course ratings, you may apply to become a PADI Master Scuba Diver. This is the highest non-professional level in the PADI system of diver education. Earning PADI Master Scuba Diver rating demonstrates that you have gained significant training and experience in a variety of dive environments. Ask us for an application form. Children aged 12-14 years can earn the PADI Junior Rescue Diver certification. Prerequisites: PADI Advanced Diver or equivalent. One of the adventures dives must be Underwater Navigation (mandatory). Proof of Medic first-aid training within the last two years. Minimum age: 12 years. Please note: The course doesn’t includes equipment rental. Extras: Educational materials (may be purchased from our Shop at Divers’ Lodge, approx. €40.00). Lunch on boat trips (75.00 EGP including unlimited soft drinks, payable on the boat). A medic first aid certification is a prerequisite for anyone wishing to take a PADI Rescue Diver Course and we therefore offer a PADI Emergency First Response Course, which takes one day and will teach you how to give Cardiopulmonary Resuscitation (heart massage and mouth-to-mouth), as well as basic first aid techniques. Prerequisites: Minimum age: 15 years. PADI Open Water Diver certification or equivalent. Please note: Maximum depth depending on diver training/experience. The course includes equipment rental. Educational materials are not included. Lunch on boat trips costs 75.00 EGP including unlimited soft drinks, payable on the boat. For more information on developing your diving skills with Divers’ Lodge Hurghada please don’t hesitate to contact us.